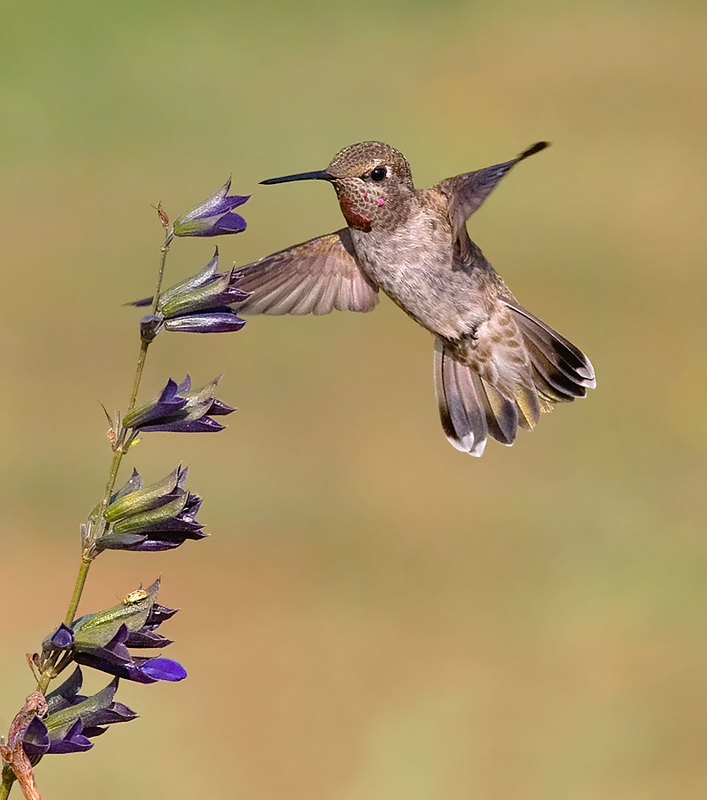 Most hummingbirds retreat south in autumn, but Anna's Hummingbirds are found in northern latitudes throughout the year. Since 1960, they've moved their year-round limit north from California to British Columbia. 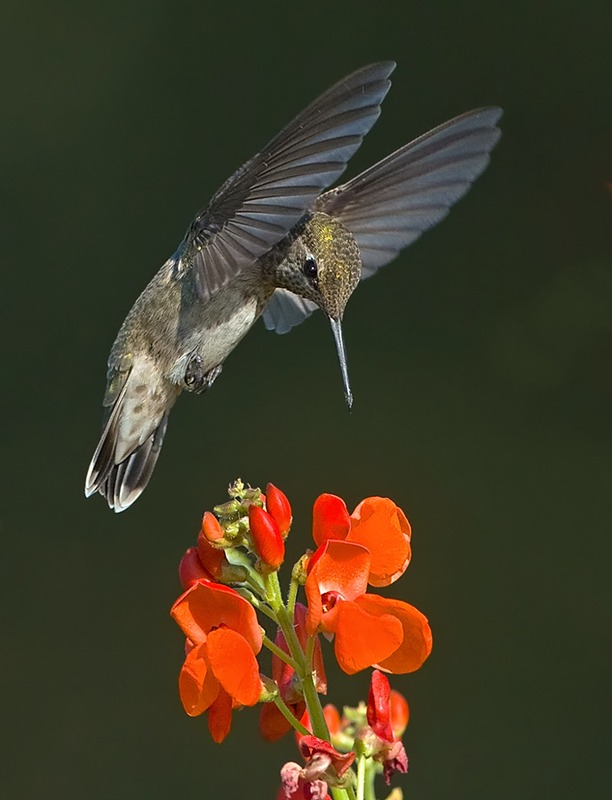 They're taking advantage of flowering plants and shrubs, as well as hummingbird feeders. But how do they survive the northern cold? They suspend their high rate of metabolism by entering a state of torpor – a sort of nightly hibernation, where heart rate and body temperature are reduced to a bare minimum. 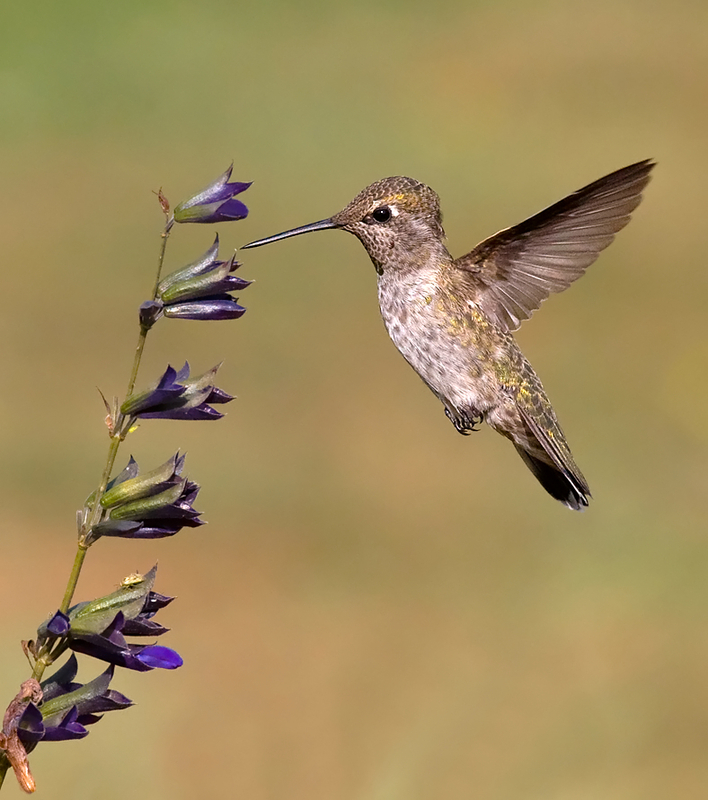 Many hummingbirds, including those in the high Andes, rely on the same strategy. 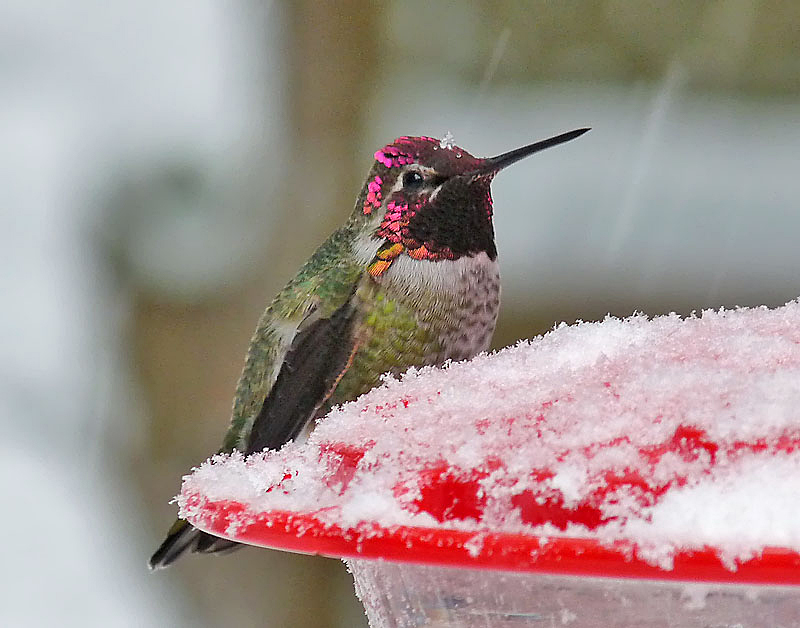 Yes, Anna’s Hummingbird has come north to stay. [Wing whir of male Anna’s Hummingbird] And its jewel-like presence at the nectar feeder adds sparkle to any winter day. 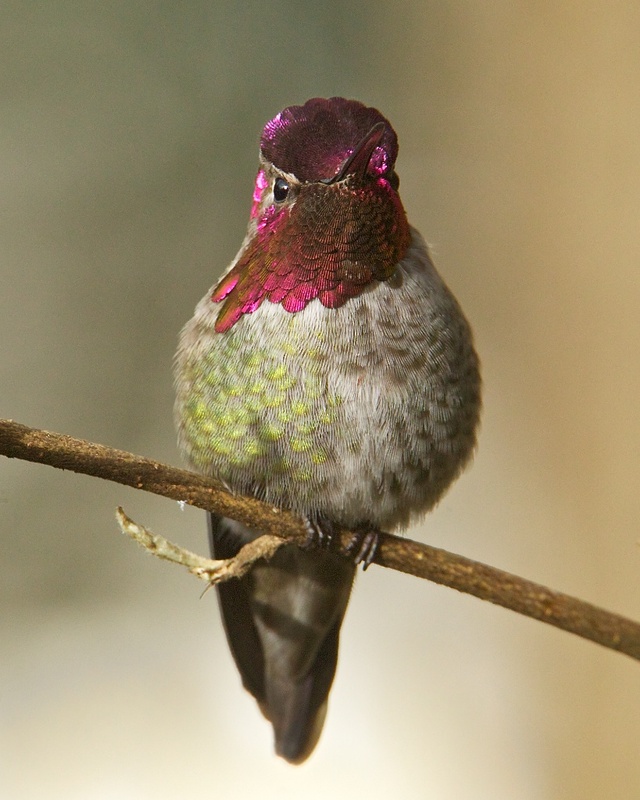 A BirdNote story about how Anna's Hummingbird got its name!